Welcome! 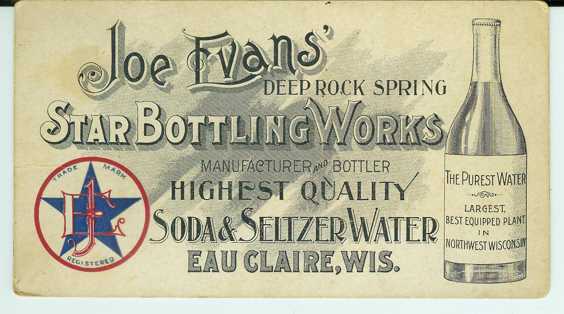 Star Bottling Productions of Eau Claire brings you three songs recorded in the Star Bottling studio shown above. The band on these recordings is the Straw Whistle Band from Eau Claire. The first song, Kontrol, is their midwest version of techno. The processed mouth harp is played by Mike Kelly, who was also the recording engineer. Guitar, bass, and drum machine programming by yerpa58, who also did the mixing. We hope you like it! The second song, Low Flying Bee, is Straw Whistle's midwest version of instrumental music. The mouth harp is played by Mike Kelly, saxaphone is provided by Mark Venziano, drums powered by by Tom Newcomb, bass guitar is performed by Greg Fox, and guitar is played by Bob Lowy. 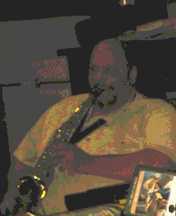 Mike Kelly was the recording engineer, mixed by yerpa58. This song was performed and recorded live in the Star Bottling studio. No overdubs were done. The third song is the result of another late night jam session at Star Bottling studios. 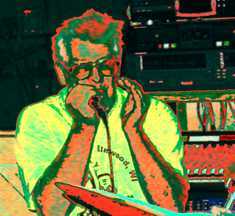 This time, the Straw Whistle Band was in large format with mouth harp and vocals by Mike Kelly, drums by Tom Newcomb, saxaphone by Mark Venziano, bass guitar is performed by Greg Fox, electric guitars by Mike Garrity and Bob Lowy, and a mic'ed acoustic guitar by Perry Angelo. This song, Mr. K Blues, is a midwest version of electric blues. Mike Kelly was the recording engineer, and it was mixed by yerpa58. This song was performed and recorded live in the Star Bottling studio. No overdubs were done. Landfill Park is a band who really deserves a page to themselves. They said I'm their biggest fan but that is not true, many of their fans are larger than me ;-) This song (Hey Hey Hey) is one of my favorites and really belongs on the pop charts. This is some Midwest factory music from a band called Shane, a.k.a. Shane and the Losers. There are so many good songs on this disk that it was hard to pick just one. I like the drum part on this one. It is recorded with a lot of impact.